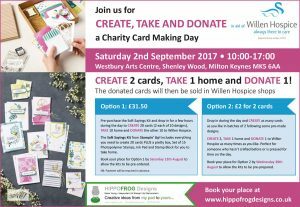 At this drop-in day you will CREATE 2 cards, TAKE 1 home and DONATE 1. These donated cards will then be sold in Willen Hospice shops. Pre-purchase the Soft Sayings Kit and drop in for a few hours during the day to create the 20 cards (2 each of 10 designs) in the kit. 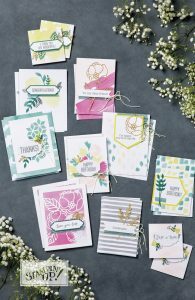 The Soft Sayings Kit from Stampin’ Up! 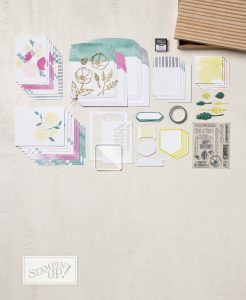 includes everything you need to create the cards PLUS a pretty box, Set of 15 Photopolymer Stamps, Ink Pad and Stamp Block for you to take home. Please book your place by Saturday 12th August so that the Option 1 kits can be pre-ordered for you. NB: Payment will be required in advance. Booking for Option 1 now closed. Option 2 for the drop-in day still available. Drop in during the day and CREATE as many cards as you like in batches of 2 following some pre-made designs. 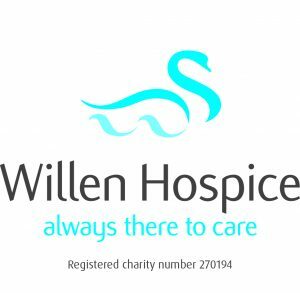 CREATE 2, TAKE 1 home and DONATE 1 to Willen Hospice as many times as you like. Perfect for someone who hasn’t crafted before or is pressed for time on the day. Drop in between 10:00-17:00 to make some cards.